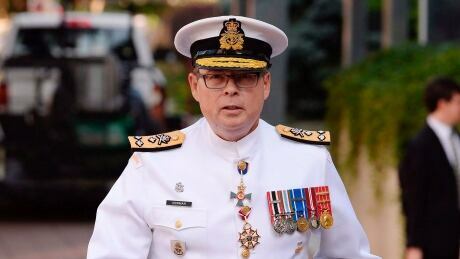 The criminal investigation into the alleged leak of cabinet secrets over a multi-million dollar shipbuilding program almost three years ago did not stop with Vice-Admiral Mark Norman, as the RCMP confirmed Sunday the probe is ongoing. The Mounties issued the statement after court documents filed Friday alleged police had evidence that a federal procurement official passed cabinet documents to a lobbyist working for Quebec shipyard prior to a key meeting in the fall of 2015. The documents were filed in an Ottawa court by lawyers defending Norman, who faces one charge of breach of trust after being accused of leaking cabinet secrets to an executive at the Davie shipyard in ​Lévis, Que. "The RCMP's investigation discovered that a government employee, Matthew Matchett, gave a lobbyist then working for Davie the classified Memorandum to Cabinet ("MC") and slide deck relating to the Liberal Government's November 19, 2015 iAOR Cabinet committee meeting," said the court filing, a copy of which was obtained by CBC News. None of the allegations in the disclosure motion have been proven in court. Matchett, according to the federal government employee registry, is the Assistant Director, Industrial Benefits for the Atlantic Canada Opportunities Agency. No charges have been filed against him. CBC News reached out to Matchett on Saturday and Sunday but received no response. Stéphanie Dumoulin, a spokesperson for the RCMP would only confirm the investigation is still active the federal police force is "therefore unable to further comment at this point." She would not answer specific questions related to the court filing. The notion that there might be suspects other than Norman came to light last year in the RCMP search warrants, one of which was used to raid Norman's home. His lawyer, Marie Henein, has asked the court to force the government to release documents "relating to Mr. Matchett's leaks and how his case was treated internally and by the RCMP." The disclosure motion alleged Matchett provided Hill + Knowlton lobbyist Brian Mersereau with documents and regular updates in the run-up to a crucial federal cabinet committee meeting on Nov. 19, 2015. Mersereau and an executive at the Davie shipyard, Spencer Fraser, have been granted immunity, according to the court filing. At the cabinet committee meeting, the fate of a program to lease a temporary supply ship for the navy was up for discussion. The Liberal cabinet ministers decided to put the $668 million plan, originally conceived under the previous Conservative government, on hold for further study, but word quickly leaked to the media. The Liberals eventually allowed the temporary supply ship program to proceed and the MV Asterix is now serving alongside the navy. RCMP alleged, in their search warrant, that Norman orchestrated the leak to CBC News reporter James Cudmore, who later went to work in the defence minister's office as a policy advisor. The Liberals were embarrassed and ordered an RCMP investigation. Norman's lawyers denied that he leaked any documents and have said they want more information on the role of the civil servant. "Mr. Matchett's leaks of classified documents relate to the very same Cabinet meetings and subject matter at the centre of this prosecution," said the disclosure motion. It also notes the second suspect has not given the RCMP a statement related to the case against Norman. A legal expert following the case said the federal government will have a hard time avoiding the release of documents related to its investigation of Matchett. "They have a duty to disclose," he said. "If they don't disclose on this point, the first thing that will happen at trial is that [Vice-Admiral Norman's] lawyer will say her client is denied fair treatment." If the allegations in the disclosure motion are accurate, a defence expert said that both the RCMP and the Liberal government have a lot of explaining to do. "It is incomprehensible," said Dave Perry, an analyst at the Canadian Global Affairs Institute. "It is a bit gob-smacking that someone who is now named — Mr. Matchett there — provided an actual cabinet document that was actually involved in this and that person does not seem to have been prosecuted." It's also unclear whether there has been any internal government sanctions taken in regards to the alleged leak of documents. "It is jaw-dropping," said Perry. Norman does not go to trial until next August. The case will be in court again on Nov. 2 Lawyers are expected to discuss the disclosure motion then.